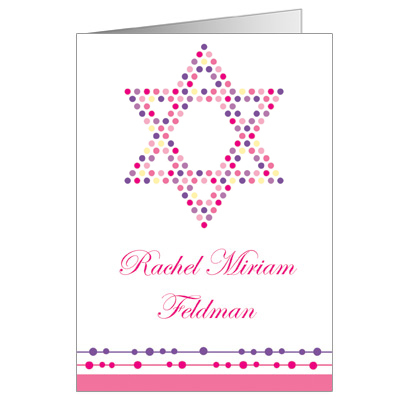 These modern and sophisticated thank you cards are perfect for any young woman's Bat Mitzvah. Accented with hues of pink and purple, this note card will definitely make a statement. Folded note card measures 3.5x5.